Purchase with full confidence. We've got you covered with a 30-day, 100% refund guarantee. We pack and ship every order with the intention that you will love the product you selected when it arrives. But sometimes the item is too big, too small, or just the wrong color, and it has to be returned. Adorn Wreaths offers a full 30-day satisfaction guarantee for just those occasions. Please note that shipping charges cannot be refunded. If you have a question about a return, please enter the information in our Contact Us form and we will reply to you within 24 hours on weekdays and 48 hours on weekends. If you wish a call back, please include your phone number in the Details box. 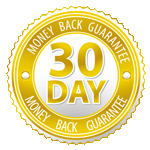 Items returned beyond the 30-day guarantee timeline fall outside of our full-refund guarantee policy, but the return request will be considered on a case-by-case basis. A determination will be made based on the amount of time that has passed since the initial purchase, the condition of the returned product, and any extenuating circumstances that may have impacted the timeline.